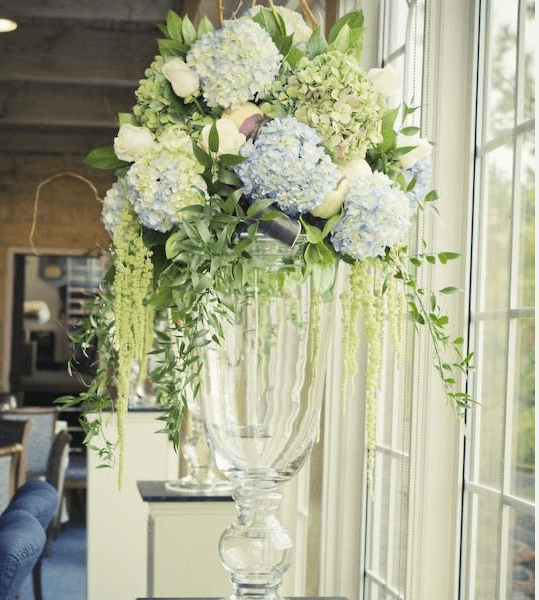 This beautiful, elegant, garden style floral display is the ideal accent for the ceremony. It is simple. It is beautiful. It makes a romantic statement. Featuring local and imported flowers in season including roses, hydrangea, , fragrant blooms such as stocks and freesia and other blooms in season. Fresh local foliage arranged in an elegant shaped container.